Did you know AdComs weigh your MCAT score the most when making an admissions decision? Here's what my MD/PhD mentor from the University of Chicago Pritzker School of Medicine drilled into my head, "The MCAT is a test you want to take once and only once." If you want to get into medical school you have to excel on the MCAT. Absolutely nothing can makeup for a poor MCAT performance. At the end of the day, only the MCAT matters. It's a tough road to earning your Medical Doctor degree. Are you on this journey alone? Maybe you have parents, family and friends who are excitedly waiting for you to become the next doctor. Imagine, having scored in one of the highest percentiles on your MCAT exam and in a few short months you're on your way to medical school. "Introducing Student Doctor ______" to rowdy applause from your parents who are so proud of what you accomplished. You step across the stage with a huge smile because you got into medical school. As you reach the center of the stage you turn and face the audience of your classmates and their families. You are beaming as the Dean approaches and helps you slip one arm and then the next into your White Coat. 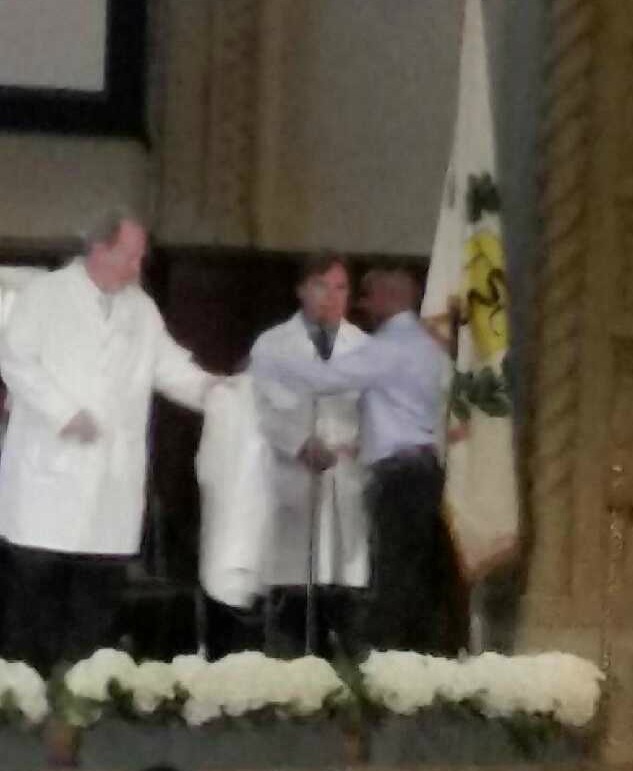 Jason Spears at my White Coat Ceremony for medical school. You pause for the cameras to snap your picture with the Dean who welcomes you to the exclusive club of a future doctor. This is entirely possible for you when you do great on the MCAT. A friend who already took the MCAT recommended it. It’s going to cost $2299 but it’s a small price to pay for realizing your dream of becoming a doctor. Plus, you’d be foolish to prep on your own. This exam determines whether you get into medical school or not. Three weeks later you realize a commercial MCAT prep course is not a magic pill. No matter how hard you study and how much effort you put into the MCAT your score is not moving. You begin cutting back on everything non MCAT related. “I can’t, I have to study” becomes a tired but true expression. You wake up early and tell yourself today you’re going to get through Biochem and you won’t be distracted. Other days you feel demoralized and upset at your lack of progress and decide you need a personal day consisting of binging on Netflix. The funny thing is regardless of whether you are working hard for the week or decide to slow down your MCAT performance stays the same. It’s like you have no control over the MCAT. Whatever study approach you use is hit or miss. You ask friends what they’re doing to prepare. Google becomes a necessary resource to pick up MCAT study schedules and study tips. Suddenly, you’re jolted into reality as you realize your MCAT test date is right around the corner. Your MCAT practice tests say you’re not ready but you’ll be damned if you don’t apply to medical school this year. You can’t push back your test date, besides your parents are getting on your case about your studying. They say you’re always studying and can’t believe anyone could study so much. They think you are psyching yourself out and just need to take the test. 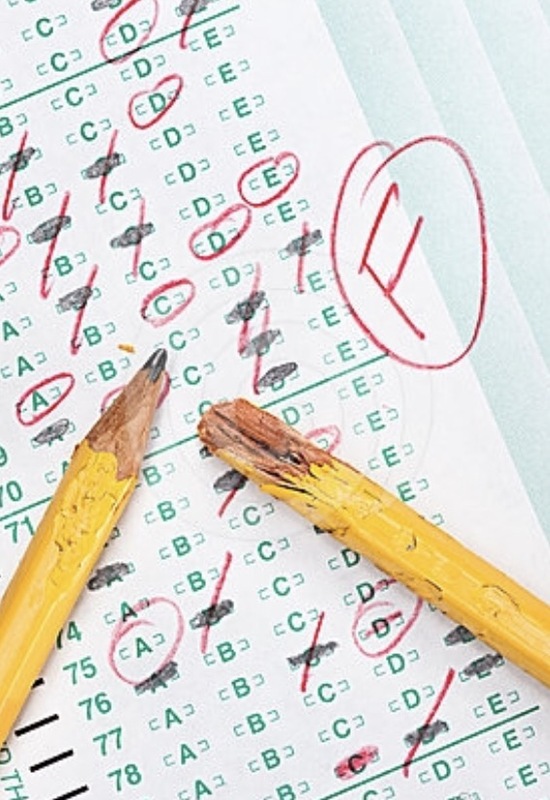 None of the test prep companies had problems even remotely similar to what you’re seeing. You’re thinking to yourself no amount of studying would have been enough. You’re dying inside as you realize with each guess your chances of getting into medical school are slipping away. Maybe you’re gonna need to retake this beast. You definitely let yourself down, but what else were you possibly supposed to do? 35 days later your worst fears are confirmed as you log into the AAMC website to check your official MCAT Score Report. You aren’t getting into medical school with these scores. Your parents are on your case about what went wrong. Your advisors tell you that you cannot apply with those scores and you need to retake the MCAT. This was not in the plans. You’re encouraged to consider scrapping medical school this year and instead applying to post bac programs while you accept your fate that you’ll have a gap year now. Get ready to take out an additional $50k in student loans. Back to the books and doing more problems as you prepare for the inevitable MCAT retake. The traditional MCAT prep is flawed as you now realize. There are high MCAT failure rates, you’ve been sacrificing your personal life with nothing to show for it in the end. You are wasting money on commercial MCAT prep courses and spending even more money to retake the MCAT multiple times. Every MCAT retake is one step closer to sealing your fate of never getting into medical school and having to give up on your dream of becoming a doctor. Or if you’re serious about becoming a doctor you can go to a Caribbean medical school. They’ll gladly accept you with your subpar MCAT scores. But most likely you’ll be kicked out for not keeping up with the academics and if you do manage to do so, you won’t be able to pass your United States Medical Licensing Exams (USMLE) and there goes all hope of being a doctor. You can avoid this mental pain and suffering by understanding what it takes to be successful on the MCAT. Having been in your shoes I understand the pressure you're under to do well on the MCAT. The MCAT is soul crushing. My MCAT prep started a few months in advance of my targeted test date and included a Kaplan Classroom MCAT prep course one of the perks of being the President of the Premed Society in undergrad. Can you relate to doing all of the following? but my scores were not improving. To say I was stuck would be an understatement. I was in the library seven days a week laser focused on the MCAT. The MCAT was my life and nothing else mattered. You can only imagine the frustration that despite my best efforts I had reached a plateau. My score had reached its max. It wasn't even good enough to make me competitive for medical school. I was doing everything they told me to do but not making progress. As my test date rapidly approached my heart sunk with the cold reality that if my score did not improve medicine wasn't going to happen for me. "No Medical School. No Surgery. No Millions. All down the drain," as my Harvard TA mockingly said while handing out our orgo exams. Not sure what was going to happen on the MCAT I took a leap of faith 3 weeks before my scheduled test date. With my entire future on the line I got the nerve to approach the Paster after church service and ask him to pray for me. I told him I was studying for a test required to get into medical school so I could become a doctor. He prayed for me along with two other pastors and at the end said, "Young man, you need to get in touch with Doctor so and so who is a member of the church and I will introduce you." That decision to reach out to the pastor would forever change the trajectory of my life. I spoke with the doctor and he was a Godsend. He told me I wasn’t ready for the MCAT and I needed to push back my tes by a few weeks. I was against this and felt I would be derailing my chances of getting into medical school if I delayed the MCAT. The doctor noticed my concern and bluntly said, "Jason, you can apply now and have a bad MCAT score or give yourself some extra time and have a very respectable MCAT." Grudgingly, I realized he was correct. He had my best interest at heart so I delayed my MCAT test date by 4 weeks and got to work following all of his advice. The difference was like night and day after working with the doctor. Things that never made sense to me finally did. I could see the reasoning behind it too. The doctor challenged me to study in a way I never had before and the results were astonishing. Trusting his system my scores improved. I started to get into a rhythm with my MCAT prep, there was a goal for each study session and I was extremely focused on each task I needed to complete every day. I'd be lying if I said it was easy. The studying was hard and very intense. But I had a framework and system to follow and could finally see progress being made. Very few people understand what the MCAT is actually testing. If you’re like most premed students you believe the MCAT is a cumulative exam of your premed years where if you’re able to recall everything you learned you will have a good MCAT score. As a premed student you did well in your courses by memorizing equations, knowing how to do problems and regurgitating back the topics your professor when over in lecture. Unfortunately, the MCAT demands a lot more. The MCAT is a test to see if you can think like a doctor. To excel on the MCAT you cannot memorize your way to a top score. You have to think like a doctor which means get out the habit of memorizing and start gaining an understanding of concepts. If you know one concept you can apply it to hundreds of problems. Your test-writer is always going to know more than you. They can trip you up with facts but there is one truth that will never change and that’s concepts. There’s a reason students walk out of the MCAT feeling it was like nothing they had ever prepared for. Your test writer knows the MCAT prep books you are reading, the Khan videos you are watching and the common pitfalls that trip students up. They make the MCAT difficult on purpose. Because at the end of the day if you get into medical school it means you will have the power to make life and death decisions and only the brightest students can be granted this privilege. The only way to do this is with a MCAT test that cannot be memorized. This allows the test writer to come up with a very detailed question that they are confident you have never come across in any of your readings, classroom, or online. But the question has to be one you can still answer. The way you’re able to answer the question is the use of an underlying concept. The test writer will confuse you and flood you with lots of details to obscure what is being asked of you but if you move beyond the details you’ll suddenly realize the question is not as difficult as you thought. Do you know what happened to me on my MCAT test day? I would be lying if said I wasn’t feeling any pressure to perform on the MCAT but I learned how to harness my nervousness and put it to good use. One of the greatest moments was early into my MCAT was realizing my newfound studying had paid off. There were problems similar to what I had studied in the past and I had a “Thank you Jesus” moment as I got it correct. Another problem came up and I did a Michael Jordan style fist pump after realizing the trap the test writers were attempting to set and changing my answer to the correct answer choice. Without the knowledge of the physician I would have blindly gone into the MCAT falling for every trick in the book and walking out with a poor MCAT score that mirrored my diagnostic. This certainly would have killed any chance I had of getting into medical school. I was set, life would never be the same when I logged into my AAMC account four weeks later to see how I had done on the MCAT. Although I was nervous, my heart was racing, my stomach doing flip flops and a million scenarios being played in my head I got the biggest surprise of my life when I saw just how well I had done on the MCAT. I had exceeded my expectations. There was sheer joy and I knew medical school would definitely be happening. I informed my parents who were very proud of me. I called and emailed my mentors to share the great news. And yes I did receive Harvard Medical School recruitment materials based off my MCAT performance. I'm Jason Spears, currently a 4th year medical student in New York City. I understand the struggle of being a premed and facing up to the reality of the MCAT as the only thing standing between you and medical school. But help has finally arrived today. While an undergraduate student at Northwestern University where I majored in Political Science I served as the President of the Premedical Society for both my Junior and Senior years. This put me in the unique position to get to know AdComs from the top medical schools across the country. You'll find I share exclusives from AdComs you cannot get anywhere else. Just because there is a written policy about MCAT retakes doesn't mean that's what actually happens. My premed coursework was completed at Harvard Summer School. Lastly, I have a Master of Arts in Medical Sciences from Boston University School of Medicine. I share this to let you know, I have you covered and can help you earn the MCAT score you want. As a fourth year medical student in New York City I've sat for countless exams over 60 during my M-1 year alone. Plus, with preparing for medical licensing exams there are tips and strategies I share that can be applied to your MCAT. I know you want to earn a top MCAT score. If I can go from struggling to a MCAT score that has Harvard Medical School calling then you can do the same. I want to share with you my proven system to change your MCAT performance in the least amount time so your MCAT scores skyrocket and you become the applicant AdComs are drooling over. Let me introduce you to my revolutionary MCAT Mastery Companion Course! This is for the premed student who wants to take control of their MCAT score and give himself the best chance possible of getting into medical school. First time MCAT test taker and don't want to screw up. If any of this describes you then you're in for a real treat as I show you with a proven system that works how you can earn a competitive MCAT score so you can get into medical school too. Why Do I Need This If I Already Have A MCAT Prep Course? What’s the first thing that comes to mind for MCAT test prep? Or any of the numerous MCAT prep companies. These are big time companies which enormous marketing budgets all with the goal of selling you on their course is the only way to earn a top MCAT score. Test prep courses are extremely profitable for these firms. You’re going to pay $2299 to attend a virtual classroom with at least 30 students where one teacher is paid $35/hour to teach you remotely. These MCAT prep programs are making a killing. They then use their profits to advertise even more. Unfortunately, MCAT prep courses are one of the worst options for premed students in terms of expense, experience and most importantly results. Most students argue they need a MCAT prep course because it was recommended to them by a friend or they’ve been bombarded with advertising on campus and online. You lack accountability and need some additional hand-holding in your MCAT prep. If you need a schedule to avoid procrastination then by all means go ahead and use an online classroom course. You’re weak in the sciences. If you don’t have a strong foundation then it is encouraged to go ahead and enroll in a commercial MCAT prep course. Fear of missing out. Since everyone you know is taking one of these courses you don’t want to be left behind. If you need the peace of mind to do what everyone else is doing then go ahead with a course. It’s a cookie-cutter course. No matter your proficiency with the material you’re getting the same instruction as the person who knows everything and the person who knows very little. It’s not customized or tailored to your specific needs. Horrible price to improvement in MCAT score ratio: rarely do students see massive improvement in their scores for the amount of money they are paying. There’s a lack of individualized attention or customization of lesson plans. No one is providing feedback or checking in to ensure you’re making progress. You’re left to your own devices. At the end of the day you’re paying a lot of money for someone to read a book to you. You’d be better off purchasing review books and the Official AAMC MCAT Practice Exams to study on your own. For most premeds who are struggling with the MCAT they believe it’s a problem of not working hard enough. They believe that to get better on the MCAT you have to read more and do more problems. As my football coach in high school said, “You can do problems until the cows come home,” but it won’t improve your MCAT score. What if there was a way to do 1/10th of the problems but see huge improvement in your MCAT score? You don’t want to work hard, you want to study smart. I will show you how you can tweak your MCAT approach and go from having MCAT scores in the gutter to being confident in your ability to master the MCAT. One of the first things I have any student do when studying for the MCAT is to take a diagnostic MCAT. You have to know where you stand with the material before anything else. Take the diagnostic MCAT even if you haven’t studied yet. Once you have your score then the real work begins. But you’re going to study in a way that is efficient because time is your biggest enemy. I want you to study your worst subjects first. Let’s say you’re scoring 70% in Biology and 40% in Chemistry. If you’re like most students you’ll study Biology because it feels good to do problems and get them right. But you’ll avoid Chemistry because it’s hard and you get a lot of problems wrong. You need a top MCAT score so here’s why you are going to focus on Chemistry. With Biology if you start improving your score can only improve by let’s say 25% whereas your Chemistry score can improve by 45%. Think about how this improvement would affect your total MCAT score. If I were trying to get into medical school I would focus my energies on Chemistry to get the most bang for my buck. If you’re in a commercial MCAT prep course they are not going to tell you this. They will have you go through the same curriculum as everyone else. This is a death sentence. It’s a waste of time. You don’t give the same amount of time to all of your subjects. To earn a top MCAT score you work your weakest areas until they become a strong suit. With limited time this will help your MCAT score skyrocket in the least amount of time with the least amount of effort. I’m a huge proponent of having constant feedback and letting the results drive your studying. When you are constantly evaluating your performance you’re bound to improve. I don’t want you to fail your MCAT and truly want your success. Here’s what you need to do with problems. For every problem you do, you have to spend 2-3x going over it. This is where the big gains are made in your MCAT score. What would need to be changed to make the others correct? Why did I choose my answer? This will give you deeper insight into the problems you are solving and get you out of the pattern of memorization. What you’ll find in many instances the test writer will supply answer choices that are correct but don’t answer the specific being asked or will change a fact in the answer choice to make it wrong. Fact changes trip up students all the time. You’re under the pressure of the MCAT, cortisol levels are high and you’re digging to recall what you studied. The test writer knows this so they will put answer choices that are opposites. You are now in a bind because you have to recall if it was going to increase or decrease, was it parasympathetic or sympathetic, etc. Once you gain an appreciation for these subtleties you will be on the path to MCAT success. You’ll begin to gain pattern recognition which is critical to doing well on the MCAT. With pattern recognition you can reduce the number of questions you have to do. If you are blindly marching through problems trying to get through as many as possible you aren’t learning anything. You’ll do hundreds, even thousands of problems over the weeks and months leading up to your MCAT but not have learned anything to give you a competitive MCAT score come test day. I want you to know it’s not your fault that you’re struggling with MCAT prep. No one has ever taken the time to teach you how to think like a doctor and what’s the true purpose of the exam. Heck, those instructors leading the commercial MCAT prep courses aren’t even aware of the game being played around them. Of course, they have top scores but they’ve internalized or just worked like a dog to achieve a top MCAT score. If you’re thinking of asking a top MCAT scorer how to best to well on the MCAT you’re going to be disappointed. I like the analogy of the soccer star David Beckham. If you were to ask him how is he able to get past defenders and score he won’t have an answer for you. Not that he doesn’t want to answer it’s just that he’s so good he doesn’t even think about the process in the same way as an average soccer player. To him he just gets down the field and scores. This is exactly what happens with MCAT course instructors too. They just have top MCAT scores and don’t know how to explain it to others. Seriously, these courses are all cookie-cutter and the instructors are not supposed to deviate from the curriculum that was developed for the masses but not the individual premed student. Even if MCAT prep was individualized most people helping you are clueless about the goal of the MCAT assessing your ability to think like a doctor and how it is not a test of memorization, rather getting beyond the details to see the underlying concepts. Your professors are not are of this, your MCAT instructors are not aware of this and you the premed student certainly are not aware of this. You cannot be faulted for something you are not expected to know. If you ask anyone why you have to take the MCAT in the first place all they can tell you is that it is required to get into medical school or that it determines who should get in. They don’t know it’s really asking can you think like a doctor. You have every right to feel angry, cheated and upset with the medical school admissions process. If you’ve been swallowed up by the MCAT and struggling where no matter how hard you work, it feels you are moving farther and farther away from your goals it’s not your fault. Now that you know what’s really going on with the MCAT, what can you do about it? The MCAT is unlike any other test you've ever taken before. The sole purpose of the MCAT is to determine if you can handle a rigorous medical school curriculum and do you have what it takes to become a competent doctor. In most of your premed courses you got by with memorization and could regurgitate equations on your exams to get the right answer. You're in for a rude awakening if you believe the same strategies that got you that 3.86 GPA are going to work on the MCAT. The MCAT is a critical thinking test. You have to think conceptually and not just memorize. The test writers want to know do you have the ability to apply basic concepts to problems you have never seen before. Those who are able to think without memorizing are the ones who earn top MCAT scores. Unfortunately, your premed professors did not prepare you for the challenge that lays ahead. This is why you find so many students like yourself struggling on the MCAT. You can complete a commercial MCAT prep course and still not see a bump in your score. These commercial courses are great if you need to relearn/review the sciences but they don't give you the awareness or strategies to start thinking like a doctor. This is where the MCAT Mastery Companion Course comes into play. My course is designed to be used with a commercial MCAT prep course or as a standalone. I want to be very clear on this: my course is not aimed to teach you the science you have Khan videos, your professors and tutors for learning the content of the MCAT. If you want to take your MCAT scores to the next level this is where the MCAT Mastery Companion Course will help you skyrocket your MCAT performance. Your MCAT Mastery Companion Video Course is jam-packed with high yield MCAT prep study skills and test-taking strategies guaranteed to improve your MCAT score. In just over 2 hours of video your entire thought process of how to prepare for the MCAT is going to be re-wired and you will have a proven approach for tackling the biggest test of your life. All designed to help you boost your scores in the least amount of time. I have to warn you, I will not be teaching you the MCAT content. Instead, I will help you how to apply the content you’re expected to know so you can earn the MCAT score that will open doors to medical school. If you want to get into medical school you cannot walk away without the MCAT Mastery Companion course. Your MCAT Mastery Companion Video Course unlocks the hidden secrets to earning a top MCAT score by revealing every high-yield study tip and test-taking strategy you can pull from your MCAT toolkit to ensure you are positioned for MCAT success! In 19 jam-packed pages discover how to have real success on the MCAT and finally earn a competitive MCAT score. 1. It starts off with knowing how you studied in the past by taking a 13 question questionnaire so you can laser in on the tendencies you need to give up to ensure you are making the most out of each study session. What's great are the strategies you are learning can also be applied to your medical school classes once you're admitted. 2. You'll discover a real world example of how one doctor went from almost failing medical school to becoming number one in his class and setting some major firsts throughout his surgical career. His story is amazing and if you're feeling tired while hitting the books it will definitely serve as a wakeup call to keep studying. 3. Not everyone learns the same as we all have different tendencies that work for us. Discover the top 5 learning domains available to you to boost your ability to retain what you actually learn. The top MCAT scorers use multiple learning domains to ensure they leave nothing to chance and optimize their performance. 4. Never fall into the boring and passive activity of studying by reading and re-reading your books or notes. This is a complete waste of time that gives you a feel good sense of progress but will leave you shell-shocked once you start doing problems. Revealed is the Cone of Learning and how you can use it to systematically recall more information by doing less. 5. Wouldn't it be great to know the difference between two study methods knowing with one set of skills you can remember over 90% of what you studied even after two weeks. This actually can happen when you use the correct approach to your studying which I share with you. 6. You have a problem there's 3 years worth of premed classes you need to review in-order to prepare for the MCAT, that's going to be a lot of info. I'm sharing with you 5 methods of integration which will be your learning tools for acing the sciences. This will be the foundation to getting outside the typical premed silo of learning by subject and helping you apply concepts across different subject areas, training you to think like a doctor and in the same way the test-makers want you to on the MCAT. 7. Spaced-repetition will be your friend so you can recall anything you ever learned. 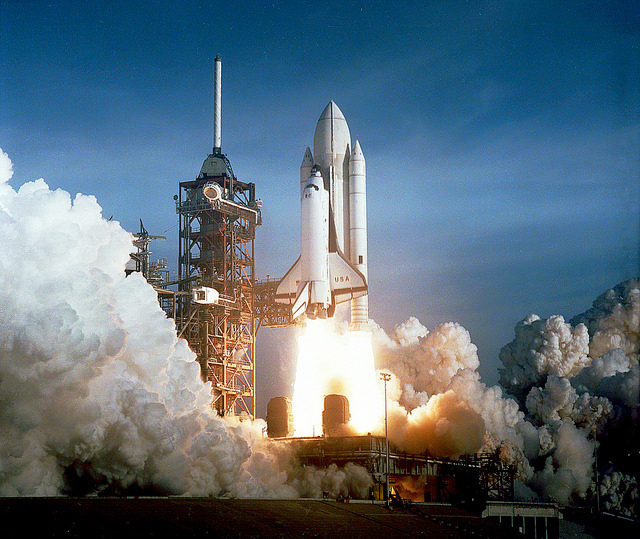 I reveal how you can use spaced repetition with a special free software so just as you're about to forget a fact you're automatically tested on it ensuring it stays in your long-term memory. This will be great because if you're on a 3 month study plan for the MCAT you won't forget the material you learned on day one. 8. Want to become a MCAT genius? If so then pay attention. This is what trips up most students but it won't be you because you'll gain access to the systematic Self-Test and Review way of preparing for the MCAT. I give you three different ways you can implement this system into your daily study routine and see a huge percentile jump in how you're scoring on the MCAT. 9. Never have a lazy study session again. I show you a way to maximize the precious moments you have. If you have a tendency to procrastinate then this is just what you need. This is going to turn you into a MCAT machine who ruthlessly gets through the most amount of material before exam day. 10. Don't burnout. Do you have questions about how long each study session should be? The goal is to find the optimal timeframe of studying that works for you so you're pushing yourself hard enough but not so hard you fatigue out. I give you two timed methods of studying that will ensure you stay focused and builds your stamina for test day. The name of the game on the MCAT is answering the most questions correctly in the amount of time you're allotted. This means you have just over 6 hours to answer 230 questions. Sounds like a lot right. No worries I'm going to unlock the vault to a 6-step process that naturally leads you to the best answer choice every time. No matter what the test writers show on test day you can zoom through each question on autopilot with this roadmap. No more debating with yourself whether A or C is correct instead, you can choose and move forward knowing you did everything possible to get to the right answer choice. Besides, when you have a system in place you'll gain more time to focus on the tougher questions which require more thinking power. The MCAT is not the place to gamble. I share with you a way to increase your odds of picking the best answer choice. Each time you apply this strategy you can improve your odds from 25% to 33% to 50% of being correct. Do you get flustered with all the answer choices that pop up on the computer screen? How about a way to decrease what you have to think about on each question. When I teach you how to eliminate extra information you can finally focus on the meat of the problem. Have you ever tried reverse engineering your way to the right answer? If you haven't get ready to see your MCAT scores soar. This is a nuclear option when you're stuck but oh so close to getting the question right. Simply answering just a few more questions correctly can move you into a higher MCAT score percentile and improve your chances of getting into medical school. To help you keep track of your performance you'll have special access to the MCAT Error Analysis Worksheet. Using this worksheet will help you uncover the trends in your tests and help you fix the mistakes you repeatedly make. Just by fixing your common mistakes you can see a dramatic boost in your MCAT scores. Even if you read slow I will show you a stepwise system you can use to tackle any passage on test day. The Lawyer Way revealed. This is a top secret approach that will change your MCAT life. What I share in the Lawyer Way to the CARS section of the MCAT will make a huge difference in your ability to see the subtle differences in the answer choices. When you Know Your Author you are practically cheating on the MCAT. I reveal how you can master the author of each passage by getting inside their head and knowing where they're trying to lead you in their writings and answer choices. Once you learn this skill you'll suddenly realize the CARS section isn't a big mystery rather a fun game. Reading is Fundamental. I'll show you how to work as efficiently as possible as you go through CARS passages. If you ever had trouble keeping your focus you can say goodbye to those days and you'll be concentrating so hard you just might believe you're on Adderall. Stealing the Main Idea. I have a four step process you can use to get to the main idea of any CARS passage. By using this approach you'll have everything you need to answer 90% of the CARS questions. CARS Study Plan. I developed an exclusive study plan for CARS. All you have to do is follow exactly what I outlined for you and you can put the CARS section on autopilot without any worries. I really liked how you seemed sincere and how you took your time to hear me out. By hearing me out, you were able to give me some advice on studying for the MCAT. In addition, I did not get the sense that you were trying to push your services and products on me. You seemed genuine and confident in what you provided and that is much appreciated. Thank you for your kind and generous assistance. One of my friends was telling me how good you are with helping students get into medical school or help them get on track of going to medical school. I am hoping that you can help me because I don’t know who to go to. Are You Serious About Getting Into Medical School? Your MCAT score will either get you into medical school or not. It's that simple. You can have peace of mind, confidence that you're studying in the most practical way possible and walk into the MCAT, the biggest exam of your life knowing you did everything possible to earn your white coat for only $495. This is a video course with over 2 hours of all the best MCAT study tips and test-taking strategies boiled down into a systemic and proven approach so you can earn a top MCAT score. You will study more efficiently, avoid common MCAT prep pitfalls and have the confidence to earn a high percentile score. Everything you need to go from average to above average on your MCAT. You're going to get all of this for only $495. I stand by my MCAT Mastery Companion Course 100%. I want you to be completely satisfied. I'm offering a 30 day money back guarantee! Take advantage of this course for 30 days and if for any reason or no reason whatsoever you can return it. You must be delighted from the value you get from my course where I share what I learned during 4 years of undergrad, 2 years of grad school and 4 years of medical school all to help you ace the MCAT. The MCAT Mastery Companion Course is built with you in mind. Knowing time is your biggest enemy I distilled everything down to be high yield, high impact. You won't suffer through boring lectures and it won't take you hours to complete. Give the MCAT Mastery Companion Course a try. Test out the dozens of specific strategies for acing the MCAT. You'll be kicking yourself for not coming across this course sooner. 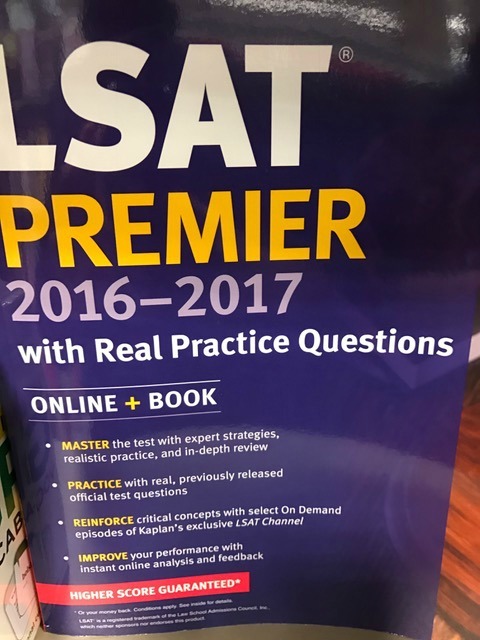 Sure there's NextStepTestPrep, ExamKrackers, Kaplan and The Princeton Review. I actually expect you to use these commercial MCAT prep programs but if I'm being honest they will only get you so far. Commercial MCAT prep courses are great for learning the content on the MCAT. You can think of the big name players in MCAT prep as reviewing everything you were supposed to learn in your premed classes. Remember, I told you the MCAT is an entirely different beast and is much more than spit back what you learned in class. The MCAT demands that you think like a doctor and realize patients rarely present as a classic textbook case. If you don't realize this you're doomed to fail. I'm giving you the skills you'll need to ace the MCAT and achieve a MCAT score that opens the door to any medical school of your choosing. In reality, I encourage you to use my program as your one-two punch to knockout the MCAT. Use the commercial MCAT prep courses to relearn the content you'll have to know for the MCAT. But then my course will elevate your MCAT scores because I teach you how to think like a doctor which is crucial to your MCAT success. Commercial MCAT prep courses are taught by students who have done well on the exam themselves but this doesn't mean they know how to teach the MCAT or provide you with the skills needed for success. I straddle both worlds of being great at standardized tests and also knowing how to teach. You'll be getting the best of both worlds when working with my MCAT course. Most importantly, you'll see a boost in your MCAT score. And isn't your goal to get the highest MCAT score possible so you can get into medical school. What will the course help me out with the most? You’ve been taught to memorize your way to a top grade point average. This does not work on the MCAT. The Medical College Admission Test is designed to determine who has the aptitude to become a doctor. Doctors do not memorize. As a doctor you have to take in everything your patient tells you along with labs and come up with an assessment and plan to treat your patient. My course helps you think conceptually so you can do this on the MCAT. Oftentimes, students will take the MCAT and say none of the problems they did or the content review prepared them for what was on their exam. 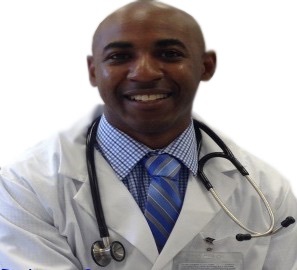 I will show you how to think like a doctor so you are prepared for anything and everything you will see on your MCAT. Remember, the test-writer is always going to know more than you but if you know a concept you can answer a thousand questions no matter how it is presented on the MCAT. How do I know I won’t receive the same benefits as a commercial prep course? My course is designed to be used with any of the traditional MCAT resources available. I am not teaching you basic science content as you can find that anywhere. I am teaching you how to apply the science in the way required to excel on the MCAT. Additionally, I am focused exclusively on study skills and test-taking strategies so you have a full toolbox to draw upon when needed to answer any question that will come your way on test day. I teach you how to schedule your days and weeks so you are constantly making progress, strategies to remember what you learn days, weeks and months later and algorithms to use on questions you don’t know so you can get the correct answer. In a nutshell, books and videos on the topics can be found anywhere but I teach you how to apply what’s in those materials in the most efficient, ruthless and commonsense way possible so you can make the most of your limited time in preparing for the MCAT but score in a top percentile. Have past students seen success with your course as the commercial prep companies have a track record of success? Yes. Students seek me out after having taken a commercial MCAT prep course and either not feeling prepared for the MCAT or earning a low MCAT score on the real exam. Students traditionally have scored approximately around 490 on their MCAT before contacting me. I have helped over 700 students since 2008 and have over a 95% success rate based on the student’s initial score and how much they want to improve. The times when students have not been successful has been when they have not trusted the system, decided to take their exam earlier than warranted or not truly invested in doing the studying required to do well on the MCAT. Is your course just another form of MCAT test prep? No. My course is nothing like traditional MCAT test prep. This is not one of those cookie cutter MCAT courses. You should think of it as a tutor sharing everything that works from top scores on how to excel on the MCAT. The information in this course is not found elsewhere. I am know what the traditional MCAT prep courses provide to their students and my course is entirely different it does not overlap nor will you be wasting your money. My course is not duplicate information that is already available. Can you guarantee my MCAT performance? No. There are a lot of variables that go into how you will actually perform on test day. Every individual is unique and starts at a different baseline of knowledge. What I can tell you is that if you follow my system, do the work I am sure you will see an improvement in your MCAT performance. My course is not based on tricks, gimmicks or random strategies. P.S. 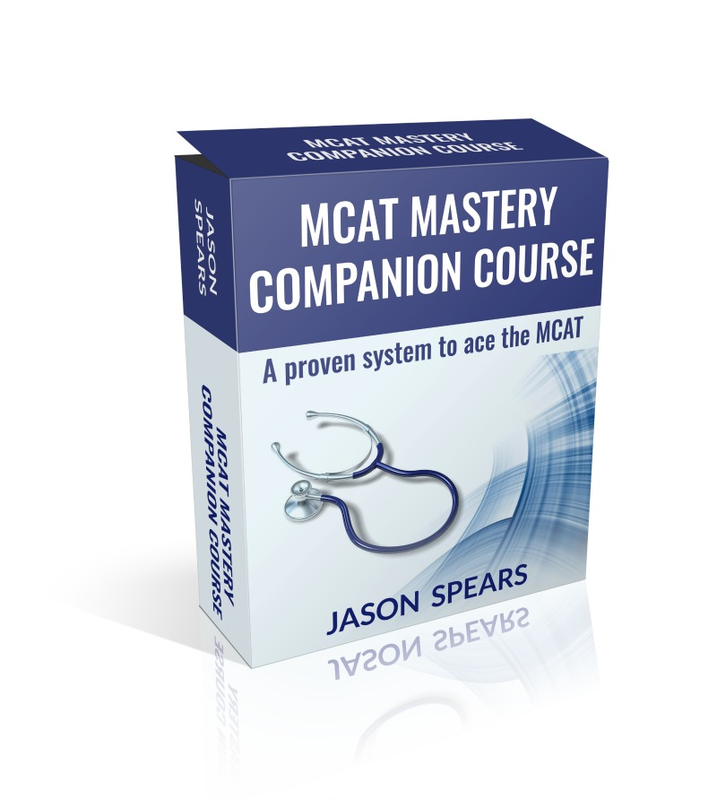 If you're skimming and just want to see what the offer was... for just $495 you're getting Jason's "MCAT Mastery Companion" course - your roadmap to the most efficient, practical and high yield MCAT study-skills and test-taking strategies so you can skyrocket to a top MCAT score and have AdComs drooling over your medical school application.